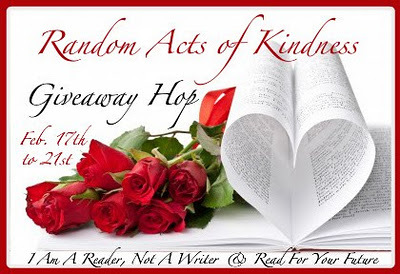 Random Acts of Kindness Giveaway Hop! Click Here For More Giveaways! I have “randomly” picked some books I hope you will enjoy! In the latest needlecraft novel from USA Today bestselling author Monica Ferris, Besty gets embroiled in an embroidery mystery. When an elderly homeless woman is found dead on the shore of Lake Minnetonka, she’s wearing something that holds the key to her identity but also opens up a mystery. Embroidered on her blouse is her will, in which she bequeaths everything she owns to her niece-Emily Hame, a member of the Monday Bunch at Betsy Devonshire’s Crewel World needlework shop! Contest rules say 1 mandatory entry with a limit of 1 bonus entry. for each Random Escape you would like to win. Thank you for all you do for the readers with your reviews and your giveaways. What a coincidence you’re giving away a Monica Ferris book. She doesn’t get much exposure on blogs and I have a book of hers on CD to play in the car this week. An early one, I think something titled Ragland Sleeve? I would love to have her guest post some time. I have gotten behind on the series and really must catch up. I love your reccomendations page Im always looking for new reads and your page has a list of awesome looking ones.